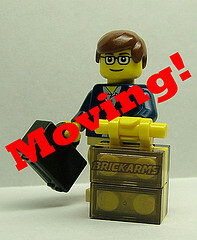 The OPMC blog has moved from this location to our home site. At OPMC, we’re dedicated to continuing to bring you the latest news, the best advice and the most useful information for opening and running an online business in Australia. Please continue to keep updated on what is happening in the world of online retail in Australia by continuing to follow our blog. You can find it here, on OPMC’s main website. Small and medium sized businesses in Australia or from overseas can now adopt a sub-domain name under www.businesses.com.au. Australian domain name rules outlined by the .au Domain Administration prevent anyone but Australian businesses or companies from owning .com.au or .net.au domains. But the opening up of business.com.au to subdomain names means that overseas businesses who want to do business in Australia can now have a local domain name. Local private people, contractors, business owners and incorporated or unincorporated businesses can also have an online presence on the premium domain for a low weekly rental. Greg Rogers, from Faxts Media which runs Businesses.com.au, said that applications are now open anyone in Australia or overseas to apply for a Businesses.com.au domain. To apply for a domain name with businesses.com.au, email ceo@businesses.com.au. Australian online businesses that think of their cyber stores as automatic vending machines need to start rethinking how they conduct business over the internet, a new survey has found. Customers now expect to be able to get help immediately when they need it and will abandon an online transaction if that help isn’t timely. The survey, conducted by marketing group Loudhouse on behalf of LivePerson, a provider of customer management software, found 87% of shoppers said they need some form of help during an online shopping transaction and 25% of Australian respondents to the survey expect help immediately when requested. not being able to find answers to questions at 44%. difficulty in getting help on a website at 36%. Out of the 1000 respondents, 79% said they prioritise getting their issue resolved quickly, and 55% want that done in a single interaction — 62% want a problem resolved within a five-minute timeframe, and 54% would give up immediately or only seek help once. Dustin Dean, vice president of Asia-Pacific at LivePerson, said Australian online businesses should start offering the same type of service that is offered in more traditional retail stores, which includes investing in Live Chat options where customers can get instant access to staff to help with questions and resolve issues. Flippa is the premier site in the world dedicated to being a marketplace for buying and selling websites. Founded in Melbourne in 2009 by Matt Mickiewicz and Mark Harbottle, the site has over 200,000 registered users buying and selling websites. The Retailer theme is Retina responsive website design, developed by the Woothemes Corp. It is fully compatible with the latest version of Woocommerce 2.0. It offers a wide range of functionalities, such as; catalogue mode option, WPML ready, google maps integration and a powrful theme option panel.